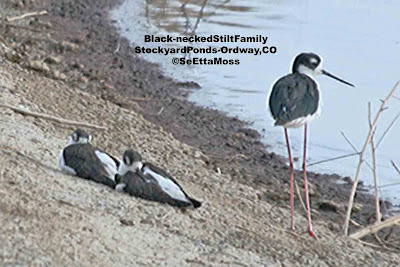 For those unfamiliar with rails, they do indeed seem to measure up to the saying "skinny as a rail"--that came from those who watched rails turn sideways and disappear into marsh vegetation as though they were as thin as a piece of paper. I have been watching b Soras (also a rail species)in a marsh at my friend's for the past week but today was the first time I saw a Virginia Rail (at least this year as I watched both species in this same marsh last year). I saw an adult Virginia Rail foraging close to the edge then spotted this juvenile further back in the reeds. It had apparently been following its parent but did not move as close so I shot these pics (handheld as I didn't bring my tripod) though the reeds from about 20 feet away. 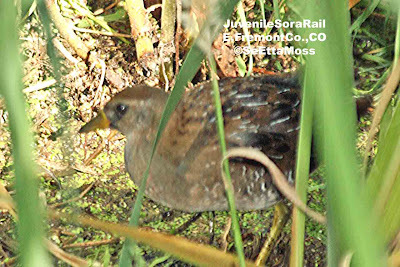 I have been listening to Sora rails calling in several marshes at my friend's near Canon City and have caught glimpses of them. 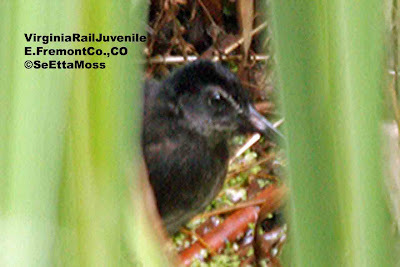 Finally I got these pics of a juvenile Sora Rail. 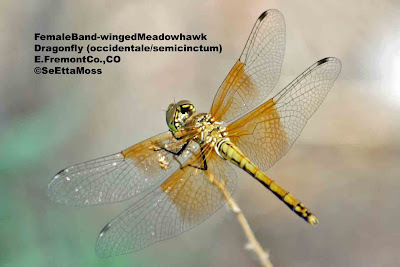 Dragonflies are neat little critters that enjoyable in summertime in Colorado and many other areas. One family of dragonflies are called "meadowhawks" and this bright goldish-yellow beauty is a Band-winged meadowhawk (I that this species has been 'lumped', or put together, with the Western meadowhawks). 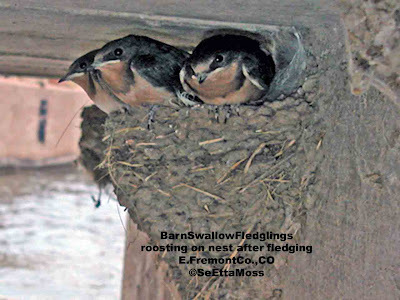 The males are red and the females are yellowish (but in the sun, they are bright gold looking). Springs a few days ago--it stopped the tournament until it traversed several courses. A friend who lives in Colorado City, Co (sw of Pueblo) told me she had 3 different bears walk across her yard one day recently. And there is a bear hanging around that was just moved miles away to a wilderness area by wildlife officers. In my last post on my encounter with the mother black bear and her cubs, I noted I would be taking precautions for bears. One of those precautions is to carry bear pepper mace, a product that is licensed by EPA with standards for how far it will spray, the strength of the product, etc. 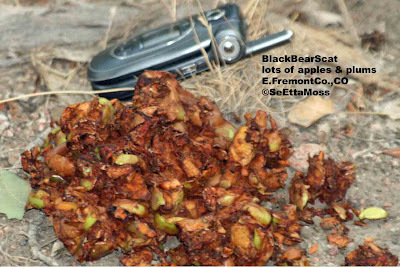 I started carrying it at times of increased risk of bear encounters after a trip to Yellowstone Park over a decade ago. 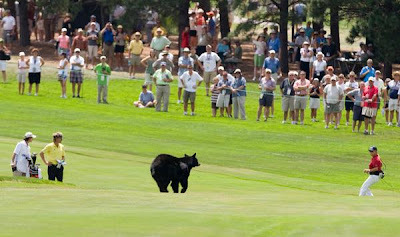 There has been some good research on it's effectiveness with bears (found more effective than guns) summarized in a very comprehensive fact sheet compiled by the U.S.G.S Brown Bear (like in grizzlies) Project.